Real Madrid are increasingly confident of signing Eden Hazard this summer, according to reports from Spain. However, Chelsea are holding out for £100m despite Hazard having just over a year left on his contract with the blues. The situation is made complicated by Chelsea's two-window transfer ban, which will come into effect this summer, with the Blues' yet to receive a word over their appeal on Thursday. 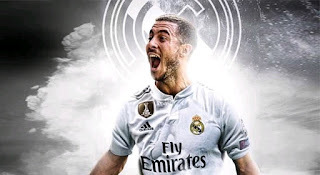 The Belgium international admitted earlier this season that he was torn between signing a new deal at Stamford Bridge or make a long-talked-about switching to the Santiago Bernabeu. "Sometimes in my head, I wake up in the morning and think I want to go," he said last October. "Sometimes I think I want to stay. It is a hard decision. It is my future."